Wooden floors are a classic interior design element, which instantly elevates your home or office in the eyes of your visitors. 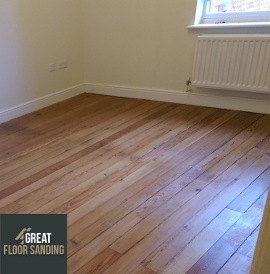 Unlock your property’s full potential with some help from the floor fitters in Kingston KT and get wooden floors that last for ages. Pick up the phone and get your expert team today to carry out a service according to your every specification and design idea. What Can You Expect with The Wood and Parquet Floor Fitters in KT? Each project begins with understanding what you need. You have a rich choice of floor and material types. We send in a team for a no-obligation on-site consultation to see whether the floor needs any specific leveling. Professionalism remains the sole principle with which we approach every single project – this is best reflected in the personnel we hire. All wood floor fitters in the employment in Kingston are the very best in what they do, having completed hundreds of floor installations. You get a skilled team who knows how to approach each individual project, using only the best products and equipment to deliver a stellar service. Your floor is going to look perfect. Now that you have decided on installing wooden floors, call 020 3404 9697 to get in touch with the office and schedule your no-obligation on-site consultation. You can contact us every day of the week from Monday to Sunday with the inclusion of bank and national holidays. All of the wood floor layers in Kingston are here to help you create a unique service package and accommodate all your needs whether you want more information regarding our services or want to make alterations to an existing appointment.